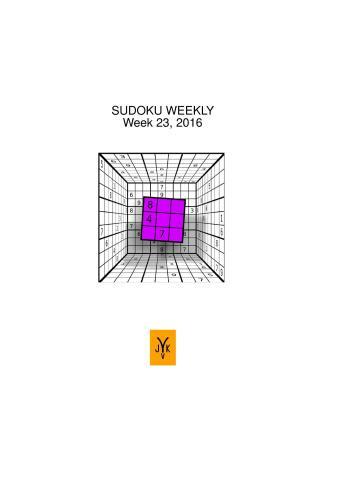 Sudoku weekly contains two normal sudoku's. Additionally, several sudoku's with extra properties are included: Three Magic sudoku's: the grey blocks are also magic squares: Each row and each column adds to 15 and all nine digits occur. Two diagonal sudokus: the diagonals should contain all digits 1 to 9.